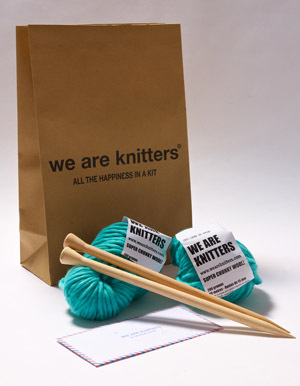 “We are knitters” is a company created in 2011 by two 25 year old entrepreneurs, Maria Jose Marin and Alberto Bravo. These entrepreneurs have the double merit of launching an innovative product that was originally traditionally-based and procuring prestigious investors. They have recently published on their website http://www.weareknitters.com that their company has raises 150,000 euros from some investors: the venture capital firm Cabiedes & Partners and two business angels François Derbaix, Toprural.com founder and Yago Arbeloa, president of the Spanish Association of Investors and Internet Entrepreneurs. The new capital will be use to accelerate the company’s international expansion in Europe. The company’s online shop sells kits with everything necessary to knit wool and cotton clothing such as sweaters, scarves, hats, etc. They also offer simple video tutorials to learn how to knit from scratch. Innovation: this successful business idea originates from non-tech elements like wool balls and knitting needles to make clothing and accessories. But they have implemented numerous innovations: they offer very fashionable patterns, a kit with all the elements to knit (wool balls, needles and patterns), they use the internet to sell and social networks to publicise, they promote the trend of DIY (do-it-yourself) and finally, all their kits are manufactured with sustainable and environmentally friendly materials (wooden needles, wool from the Andes, reusable paper bag, etc.). Origin of the ​​business idea: entrepreneurs launched their company in Spain after observing the boom in “knitting” among young people on a trip to New York. Entrepreneurs: both economists, 25, worked for a large firm auditor, they speak English and French. Financing: entrepreneurs won two contests, which provided them advising, advertising and free premises in a business incubator in Madrid. In 2011 they got a 45.000€ participative loan from ENISA. Internationalization: they have sold more than 12,000 wool balls to 4,000 ‘knitters’ in more than 10 countries. They recorded a turnover of more than 100,000 euros in 2012 and they plan to get 8,000 new knitters in a year, especially Germans and English. – Origin of the business idea: Watch tendencies and successful businesses in other countries. – Innovation: It is possible from traditional products. – Entrepreneurship Team: Speaking foreign languages, focusing international , daring and capacity to take risks. 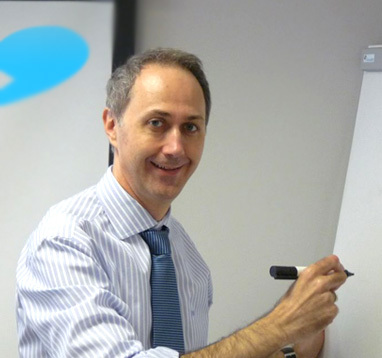 – Financing: Progressive and different in each company stage. Entrepreneur Competitions/Awards, Participative Loan from ENISA, Venture Capital and Business Angels.